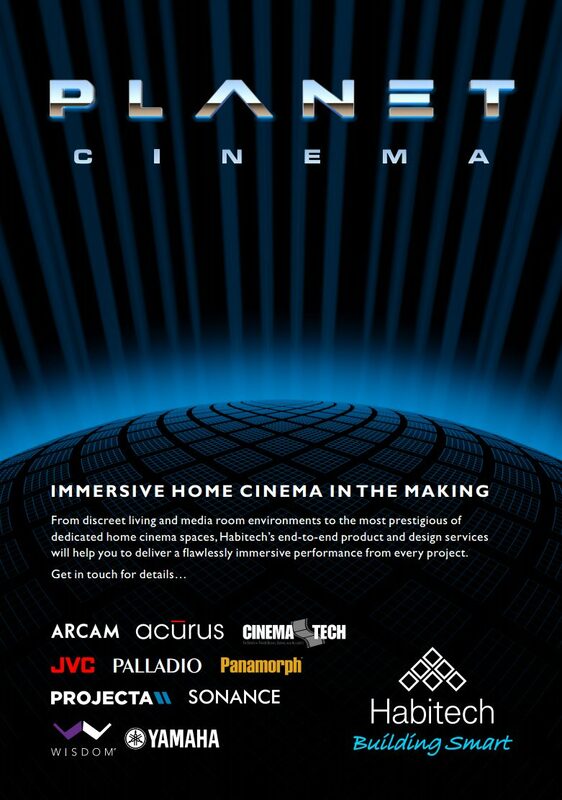 Created to promote Habitech’s new cinema design service partnership with CinemaTech. 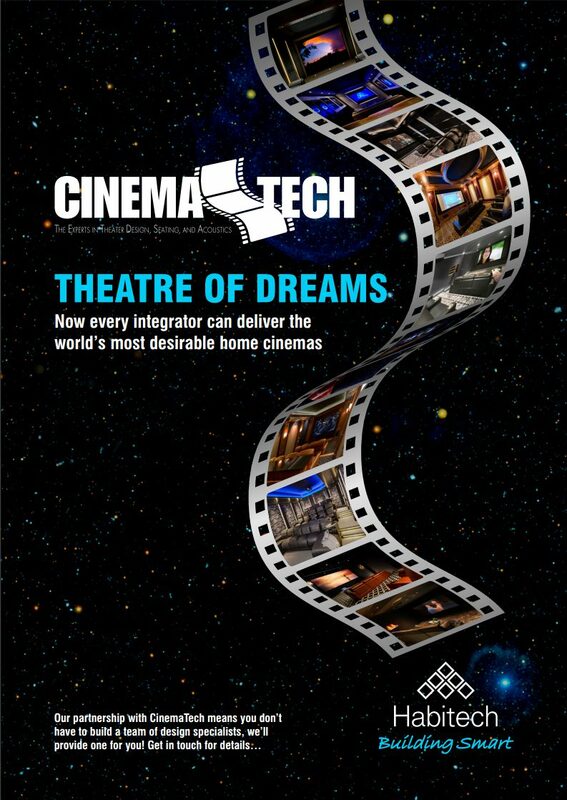 It combines CinemaTech film strip graphic redrawn and combined with CinemaTech cinema room images. 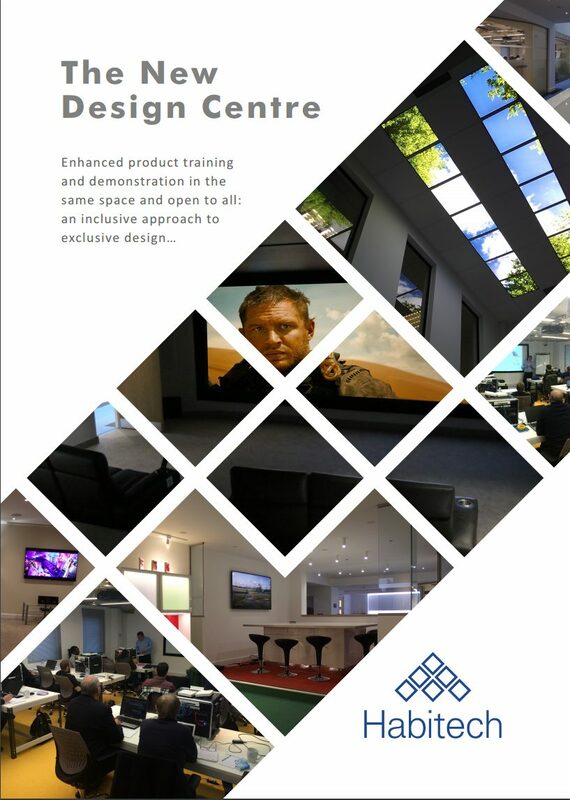 Habitech’s new training and demonstration facilities are promoted using interior images placed on a matrix of Habitech diamonds in a strong but simple design style. 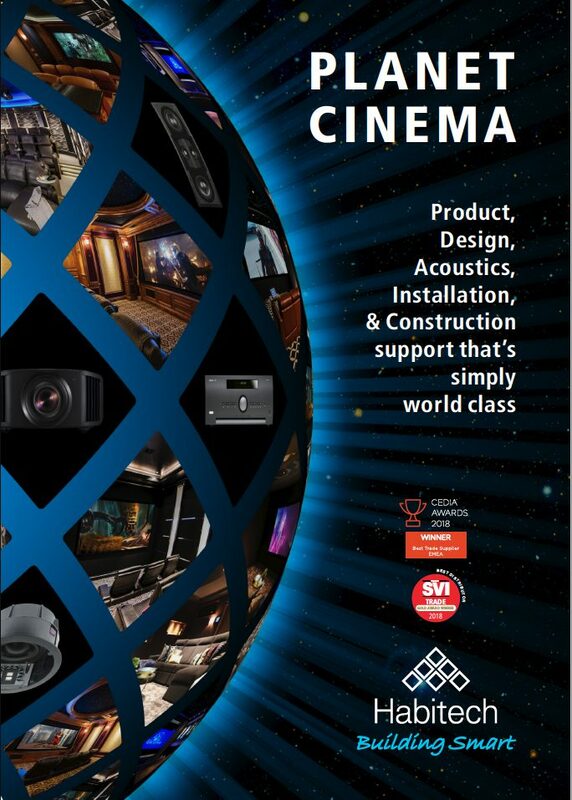 Habitech’s expanding offering of home cinema products and services is brought together using the Planet Cinema theme illustrated by this multi-layer digital rendering, which places product range images within a surface matrix of Habitech diamonds complemented by a radiating corona of energy on a star map background. A variation of the Planet Cinema theme using a more specific message and brand logos on a rendered image with a chrome-effect header. 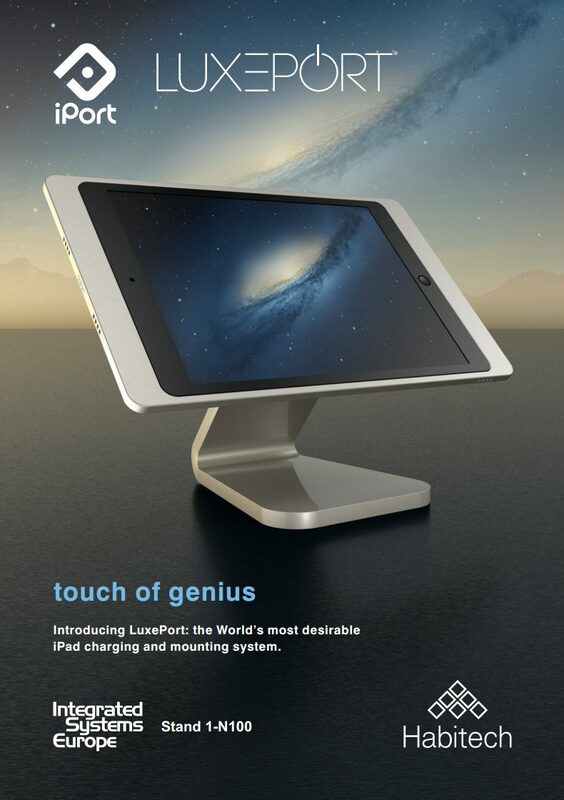 iPort’s Luxeport is a flagship iPad mount. Habitech wanted to place it in a heroic, grandstanding setting which would exemplify its exceptional quality. This required a digital rendering of the entire image and background. 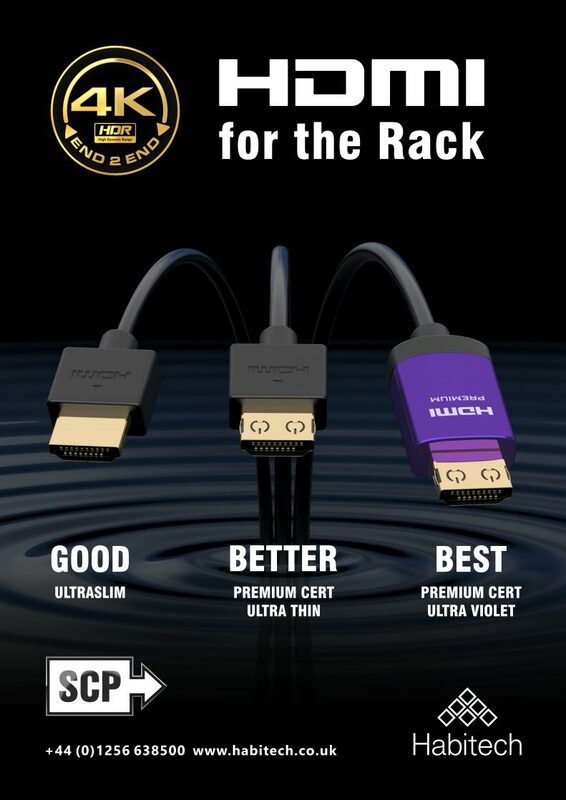 SCP’s range of 4K-ready HDMI cables is rendered and shown emerging from a rendered liquid surface, suggesting transmission through the use of ripples. We also created and rendered Habitech’s 4K end-to-end logo top left. 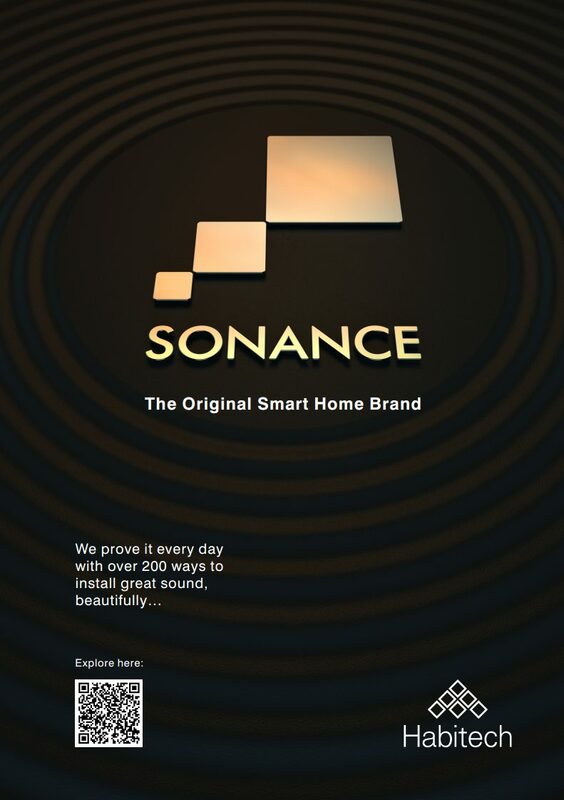 Generic Sonance range ad showing Sonance logo rendered in gold and placed on a background in the shape of a loudspeaker driver cone. It is designed to remind the CI trade that Sonance lays claim to having invented the world’s first in-wall loudspeaker: custom install’s founding innovation. 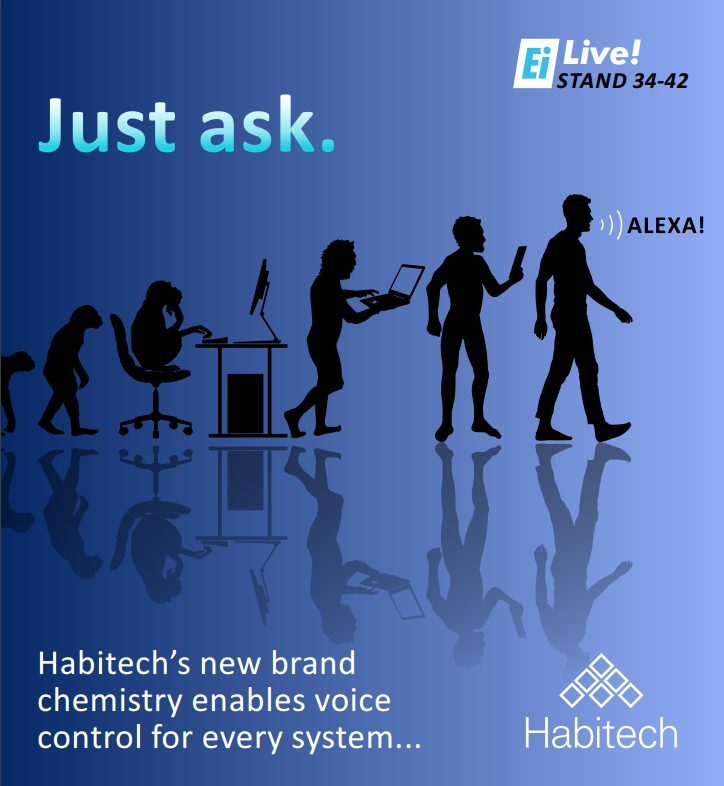 Designed to promote Habitech’s big EI Live Show theme: how to integrate Internet of Things devices and functionality. We adapted the familiar ‘Ascent of Man’ graphic to illustrate the direction of tech travel in the industry. 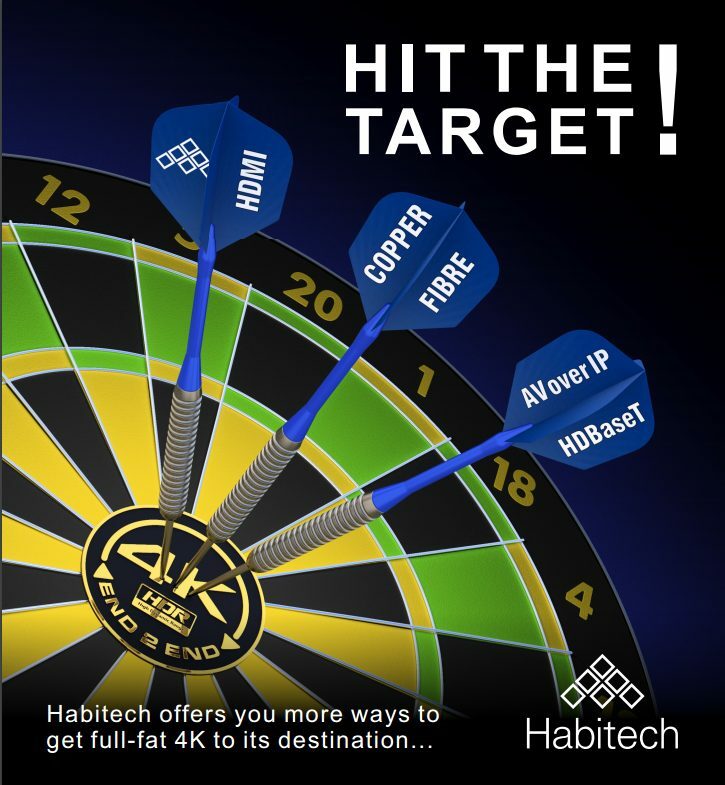 Using a simple dartboard metaphor, Habitech’s expanding range of 4K-ready connections are shown hitting the destination target every time on this digital rendering. The Construction Products Regulation (CPR) governing fire safety standards became effective 1st July 2017. 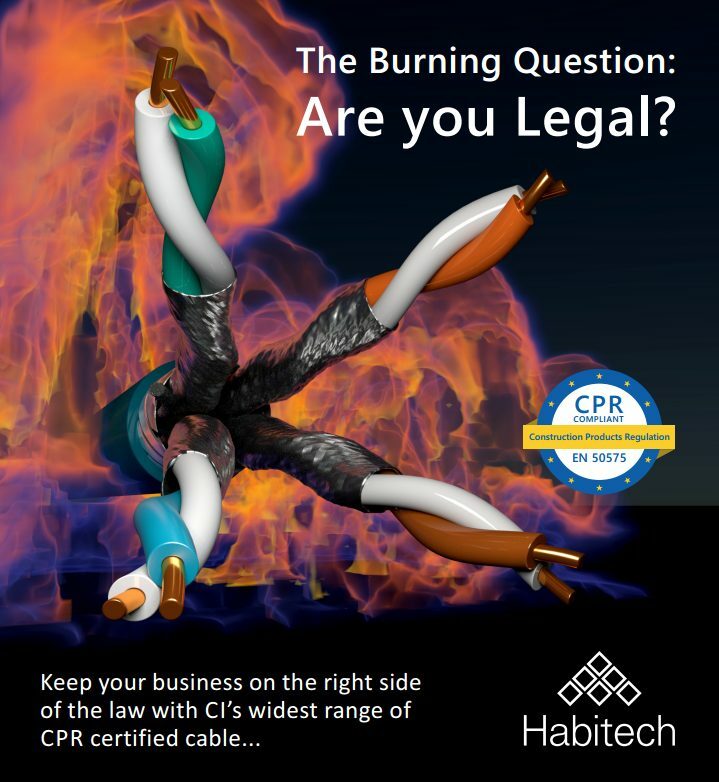 This completely rendered cover promotes Habitech’s range of CPR-ready cables while making custom installers aware of the legal position. 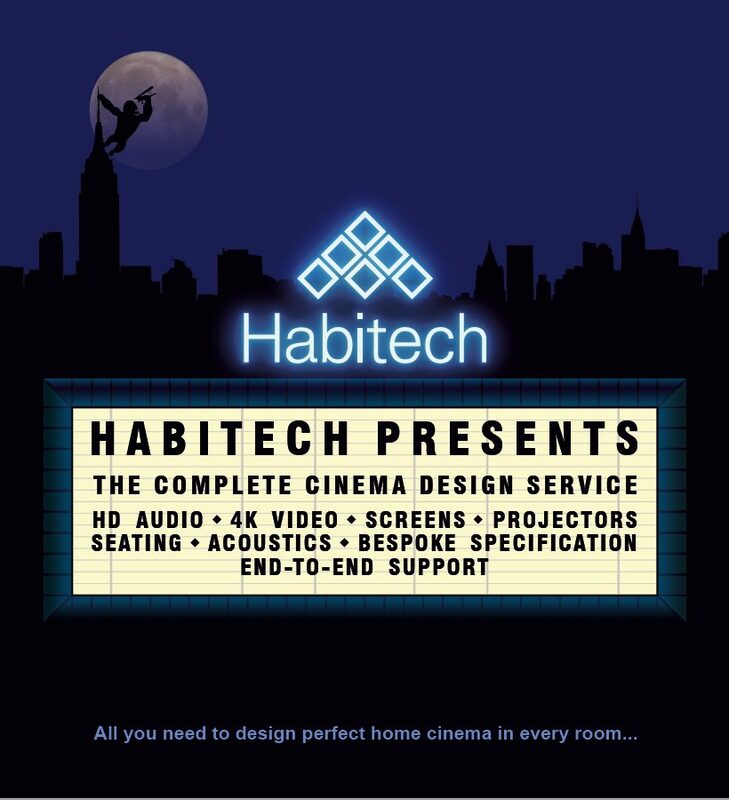 Custom rendered using powerful cinema iconography, this cover supports Habitech’s ambition to offer its dealers a complete cinema design service, involving a wide range of products integrated with software for bespoke system configuration. 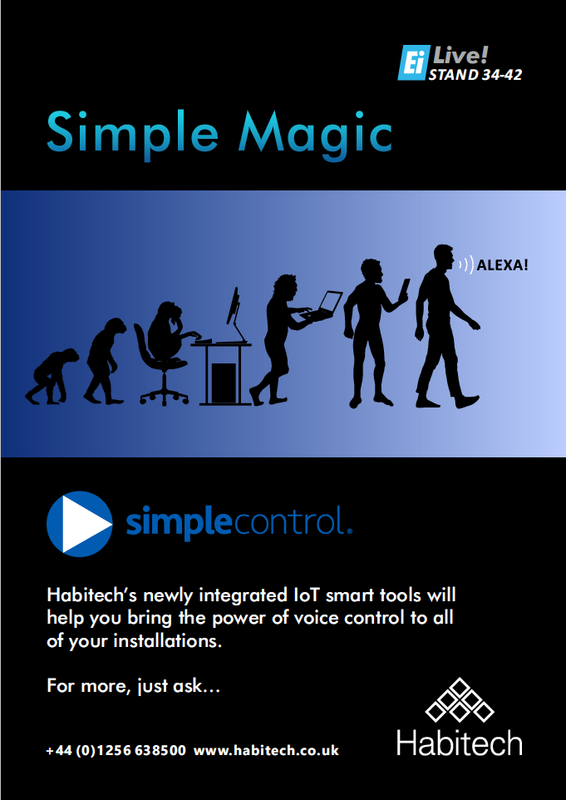 Using a bespoke adaptation of the ‘Ascent of Man’ theme, this ad for the EI Live exhibition issue of Essential Install is designed to promote Habitech’s range of IoT integration solutions.